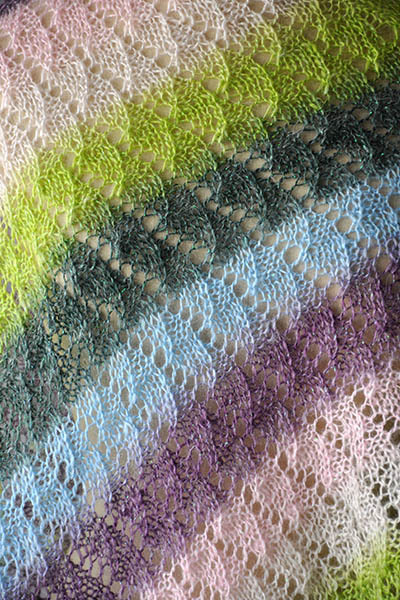 Enjoy a relaxing lace pattern and the joy of watching the slow color shift of Alpaculence in this long triangular shawl. This project begins with a cast-on along the wide edge. 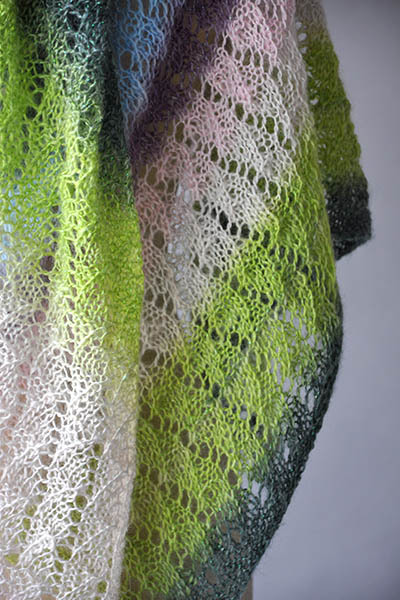 Decreases occur on the right-hand side of the shawl every 4 rows.